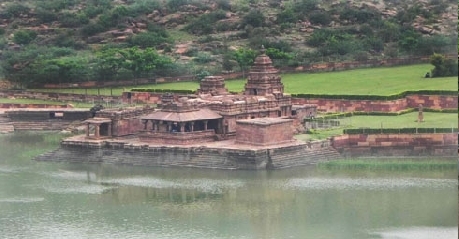 If you are travelling to Badami, one of the most popular places of Karnataka where people enjoy the miniatures of rock-cut temples of the place, opt for stay in Hotel Mayura Chalukya. Karnataka has wide range of 5 star to cheapest hotels but the kind of similar standard of luxury and amenities is offered at economic rates by the chain of Karnataka State Tourism Development Corporation (KSTDC) hotels. One of them is Hotel Mayura Chalukya in Badami which is a upholding the prestige of KSTDC chain of hotels high from number of years. Hotel Mayura Chalukya is talk of the town due to its high-class quality service and facilities in an affordable budget of expense for the guests. Lush green garden covers the entire hotel premises giving a cool and calm atmosphere to the outdoor of the hotel. Highest in the range of luxury and comfort, Deluxe Double rooms are designed to serve the guests with spacious room of premium class comfort. The room has cozy double bed arrangement with neat and hygienic atmosphere. 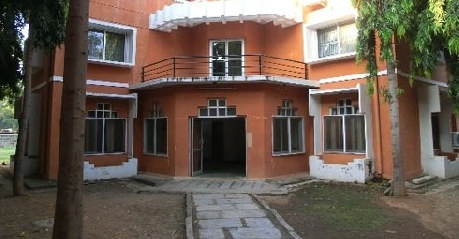 Rooms are equipped with air-conditioning system and all standard amenities. Second in the line-up of room category of Mayura Chalukya Hotel is A/C Semi Deluxe Rooms. As denoted by the name, rooms are air-conditioned and provided with all standard facilities and 24 hours room service. Also available is a neatly tucked double bed for the esteemed guests. Last but not the least in the room category is Non A/C Semi Deluxe Double Room. Semi Deluxe Double Room doesn't have air-conditioning system which could be a wise choice in the winter season for the guests. 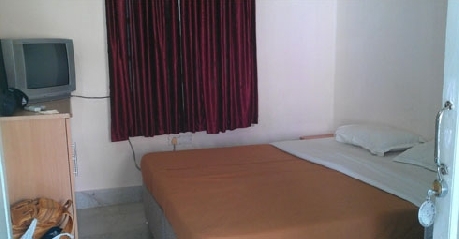 Double bed is furnished in the non A/C Deluxe Double Room with complete basic amenities and facilities. 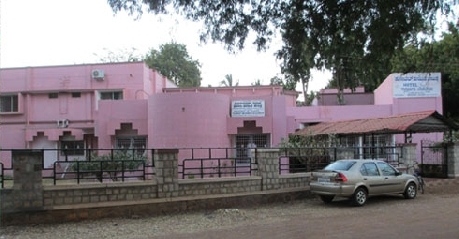 There are 10 rooms in the Badami Hotel Mayura Chalukya. There are single bedded Rooms, double bedded Rooms, three bedded rooms and five bedded rooms in the hotel. These are beautifully decorated and large. All the rooms have attached bathrooms, bath tubs, showers, furniture, wardrobes, mini bars and refrigerators, satellite TV, telephone with STD/ISD and room service. Hotel Mayura Chalukya fills the stomach of both vegetarian and non-vegetarian guests. Distinct variety of dishes is prepared to tempt the random taste buds of guests travelling from different parts of the nation. Also, a small pub is clubbed with the restaurant to serve chilling beverages with hot scrumptious food.